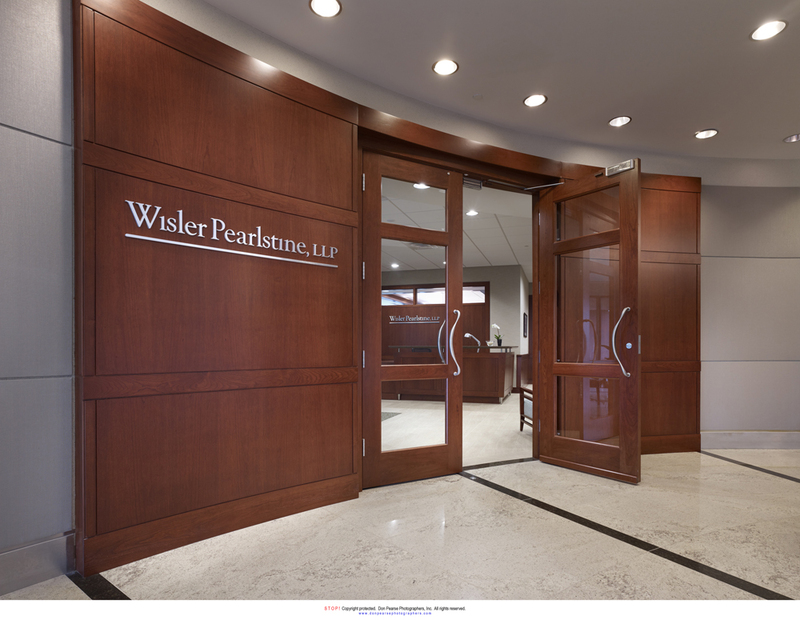 Wisler Pearlstine - Work Performed by K&L Woodworking, Inc.
Wisler Pearlstine is one of the most prominent General Services Law Firms in the Philadelphia Area. Located in the Blue Bell Executive Campus in Blue Bell, this office houses a variety of work performed by K&L Woodworking. The most striking area of this office is the entrance, which features Curved Cherry Wall Panels with black accent reveals. 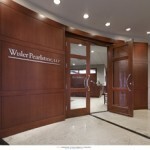 A pair of entry doors, with large glass panels, lead into the lobby. 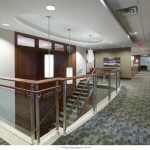 Within the lobby we have constructed a Cherry Reception Desk with vertical grain accent panels and solid surface tops. 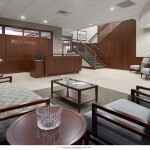 Throughout the office we have Cherry Moldings and Plastics Laminate Cabinetry. Counter tops in this office utilize Corian Solid Surface material, sub-contracted through Pence CounterTops. 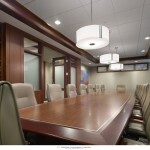 Typical wood construction utilizes Cherry Veneer panels and Solid Wood trim. Casework is constructed from 3/4″ White MCP with Plastic Laminate doors, drawer fronts, and finished sides. Drawers utilize the Grass Zargen System and doors utilize Nexus Concealed Hinges by Grass.